How to boost testosterone levels in men isn’t just a matter of supplementing or working out. If you REALLY want to know how to boost testosterone levels in men, it starts with two things, fat loss, and getting a better quality sleep. During sleep is when men naturally produce the majority of their testosterone. Testosterone is mainly produced in the REM sleep cycle, so by consuming things like alcohol before bed, you may sleep – or fall asleep – but it won’t be the quality sleep you need. So, no booze before bed. You need to lower your cortisol levels at night, that’ll help increase your melatonin production, and help you relax when it’s time to hit the sack. Viking Ashwagandha (https://chadhowse.clickfunnels.com/viking-members-offer) helps with that, it’s been shown to lower cortisol by 27% (1). That’s a huge decrease. If you’re an ambitious guy who’s mind can’t calm down, take some ashwagandha a couple hours before bed and it’ll help improve your sleep quality (2). Add carbs to your last meal. You can have almost all of your carbohydrates for dinner. You’ll see a spike in insulin, which will then send you crashing a couple hours later. It’ll help you get to sleep and stay asleep, especially if you notice that you get drowsy after eating a bunch of carbs, which a lot of guys do. Eating a lot of carbs also lowers your cortisol levels, as does protein, any spike in insulin will create a reduction in cortisol. Have coffee in the morning. Coffee increases cortisol, which can increase your energy levels, but your body counteracts that increase, dropping your cortisol levels later in the day. A coffee in the morning will help your body reduce cortisol on its own later at night. Working out in the morning will help you sleep better. I’ve also found that it helps me work better – which is important for every man. Working out later in the day doesn’t have that same effect. Next, if you want to know how to increase your testosterone levels naturally, you need to have a schedule. Your work day needs to end, it has to have a firm finish. That will let you live after work. It’ll help you wind down – which is important – but it also gives you a deadline, which has been proven time and time again to help you get more work done. Time isn’t the issue. You can get your work done in a work day. With a deadline, it forces you to get rid of waste. 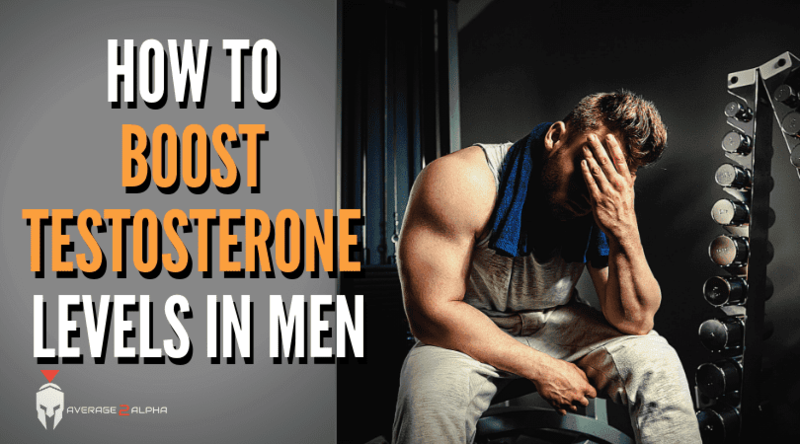 If you want to know how to naturally increase testosterone levels in men, start with improving WHEN you produce testosterone, at night, when you sleep. If you’re not sleeping well, your cortisol levels will be too high to have high testosterone levels naturally. By lowering cortisol, by using the tips in this video, and by getting a better sleep, you’re automatically going to have a better sleep. You’ll have a better quality of life, more energy, and you’ll get more done in your day, and you’ll be in a better mood. Take care of your sleep my man!